Charleston, SC Posts: What client services are you entitled to when you hire a Buyer's Agent? What client services are you entitled to when you hire a Buyer's Agent? Did you know that when you call on a real estate agent, you are a CUSTOMER. Did you know you are treated differently depending on if you are a customer or client? How do you become a CLIENT? Just like a seller becomes a client by signing an agreement with the listing agent, you can gain client level services of a real estate agent and be protected as a client. A buyer becomes a client by signing a written agreement spelling out the terms in a Buyer's Agency Contract. Clients receive more services that customers. South Carolina Agency Law specifies that once a customer becomes a client, there are 6 client level services that must be provided. 1. Undivided Loyalty provides that the agent will only act in your best interest. 2. Obedience to Lawful Instructions requires the agent to carry out all lawful instructions from you. 3. Full Disclosure compels the agent to disclose all information concerning your home purchase including any material facts known and any information that might effect your use and enjoyment. This includes anything the seller's agent shares with the buyer's agent: including but not limited to seller motivation, price the seller paid, history of the listing, and any potential problems in the neighborhood, etc. 4. Confidentiality forbids an agent from disclosing ANY confidential information (unless required by law) obtained from you including but not limited to the price you are willing to pay, the amount of mortgage you are actually qualified for, or how much cash you have. 5. Reasonable Skill and Care demands the agent protect you from foreseeable risks and to recommend that you obtain expert advice when your needs are outside the scope of the agent's expertise i.e. home inspection, termite inspection, attorney, etc. 6. Accountability compels the agent to properly handle all money received (earnest money) and advise you of all fees involved in the real estate transaction including but not limited to inspection fees, appraisal, termite report, earnest money, etc. If you work with the Charleston Relocation Experts Team, both services cost the same...FREE. Would you rather be a customer or a client? 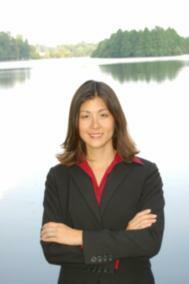 Michele Reneau - Military Relocation Specialist in North Charleston, SC. At a minimum. Some clients push on and on and they still are unhappy. Good outline for buyers to understand. We are always working for someone. This is how buyers can get an advantage with a really good buyer's agent. Great post, Michele. It's something a lot of people aren't aware of. Some agents, too. Great Post!!! So many buyers have no idea and it can make such a difference!!! Nice outline Michele. Most people will choose to be a client if it is explained to them properly. Interesting post, Michele. Century 21 encourages the use of buyer representation agreements, but many agents are uncomfortable asking their buyers to sign them. Your idea of how to present it seems to be an easy way to convince buyers to sign. Randall-I wish we could make everyone happy, but sometimes we just gotta let 'em go. Laurie-It's a shame all buyers don't understand this. Heather-Another thing many buyers aren't aware of is that most agents offer it as a FREE service! Melissa-I'm trying to spread the word for buyers so they can have all the advantages possible. Michael-Good point! Many agents do not know how to explain it. Susan-Even if buyers only sign it for a week, it will allow some time for a relationship to develop and for them to trust the agent. Most people don"t know the difference so that is our job to explain it --- thanks for sharing! Great post Michelle. I hope many potential buyers read it! For years I avoided buyer employment agreements as they were not required and buyers seemed repelled by them. Maybe it was the way I presented it. Since I began to specialize as an Exclusive Accredited Buyer Representative (what a mouthful!) I have been using the buyer employment agreement with every client. I have found that if I just build it in to my initial appointment and buyer orientation it has just been accepted and signed without hesitation. Edd-Buyers are only scared of the unknown but a good explanation will clear that up. Who wouldn't want to be a client?